It was not a dream or even an hallucination, first day of Election 2016, the leading presidential aspirant for 2016 polls is no other than former Mayor Duterte. The Davao City Mayor is yet to be the new President of the Philippines. The Davao City Mayor Rodrigo Duterte and Senator Ferdinand "Bongbong" Marcos Jr claimed early leads in the presidential and vice presidential races. Sen. Alan Peter Cayetano placed on third rank after Leni Robredo. Although it is not official yet because the results of Election 2016 is still partial and unofficial. Sen. Grace Poe earlier said that they saw many 'over votes' for Mayor Duterte. But as of writing this post, the transmittal percentage of votes from PPCRV is now at 64%. Here's the thoughts of the political columnist expert Manny Piñol. Davao City Mayor Rody Duterte appeared headed to an historic victory becoming the first political leader from Mindanao to win the Presidency as he took an early lead in the first results coming in early tonight. With less than 10% of the votes counted, Duterte was leading by more than half of the second ranked presidential candidate Grace Poe. “I would like to reach out my hands to my opponents. Let us begin the healing now,” Duterte urged his rivals during a press conference at the Royal Mandaya Hotel. More substantial reports on the results are expected to come in before 11p.m. Do you think Mayor Duterte is the new President of the Philippines? Share your thoughts below. 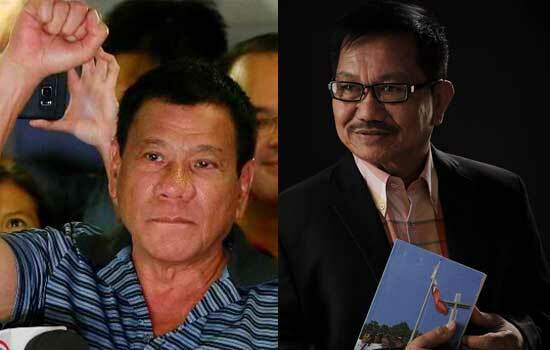 Comments or suggestions about "DUTERTE: 'Let us begin the healing now' by Manny Piñol" is important to us, you may share it by using the comment box below.